I am a sucker for interesting textures and abstract paintings in soft pastel palettes. It’s a seriously brilliant combination and one I could stare at endlessly. That’s how I feel about Hilary Harnischfeger’s work. I just want to look at it forever. When I first came stumbled across her sculptural wall-mounted masterpieces, I was completely floored. 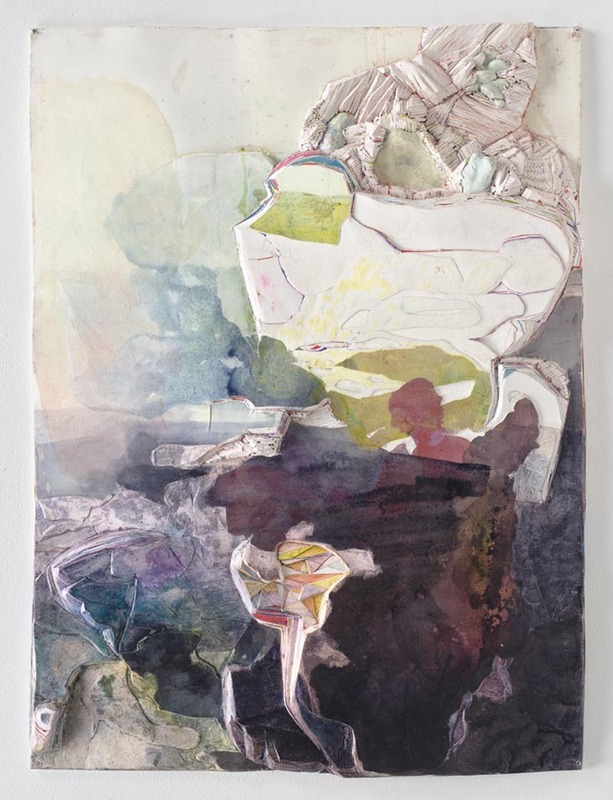 She isn’t afraid to really explore the tactility of different mediums and combine them in unexpected ways. 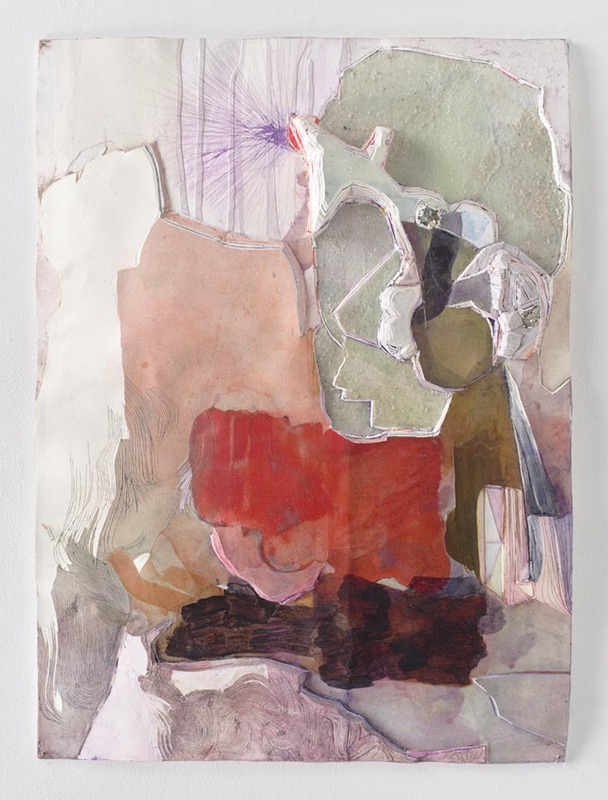 If you look at her artist profile on the Saatchi Gallery website, Harnischfeger has a laundry list of materials that she uses to create these multidimensional sculpture/painting hybrids. 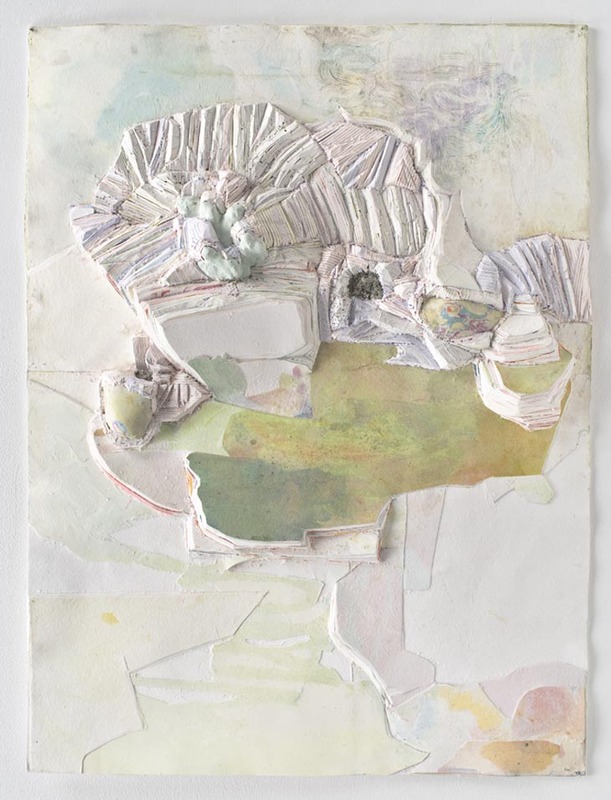 Paper, ink, mica, fluorite, crushed glass, plaster, pyrite… anything and everything. The effect is pretty mesmerizing. Something about them reminds me of Dr. Seuss… so so good. Stunning. Thanks for the introduction. She’s an inspiration now. I just love those textures.